Filing Fake Documents to Hide Income "
Hide income by filing false Form 1099s or other fake documents is a scam that taxpayers should always avoid and guard against, the Internal Revenue Service said today. This scheme is one of those on the annual “Dirty Dozen” list of tax scams for the 2015 filing season. Compiled annually, the “Dirty Dozen” lists a variety of common scams that taxpayers may encounter any time but many of these schemes peak during filing season as people prepare their returns or hire people to help with their taxes. Filing a phony information return, such as a Form 1099 or W-2, is an illegal way to lower the amount of taxes an individual owes. These scofflaws use self-prepared, “corrected” or otherwise bogus forms that improperly report taxable income as zero. The taxpayer may also submit a statement rebutting wages and taxes reported by a third-party payer to the IRS. Taxpayers should resist any temptation to participate in any variations of this scheme. The IRS is well-aware of this scam, the courts have consistently rejected attempts to use this tax dodge and perpetrators have received significant penalties, imprisonment or both. Just filing this type of return may result in a $5,000 penalty. 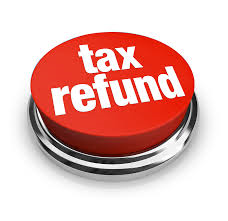 In this scam, the perpetrator files a fake information return to justify a false refund claim on a corresponding tax return. Again, the IRS is well-aware of this scam, the courts have consistently rejected attempts to use this tax dodge and perpetrators have received significant penalties, imprisonment or both. Don’t fall prey to people who encourage you to claim deductions or credits to which you are not entitled. Do not allow others to use your information to file false returns. If you are a party to such schemes, you could be liable for financial penalties or even face criminal prosecution.